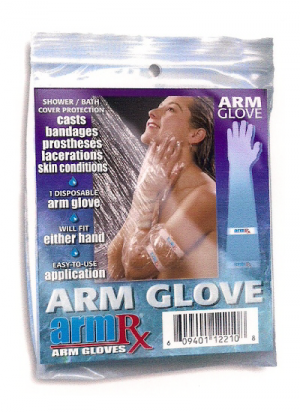 Keep U Dry offers water protection for your wounds, arm casts and leg casts while you shower, bathe or swim. 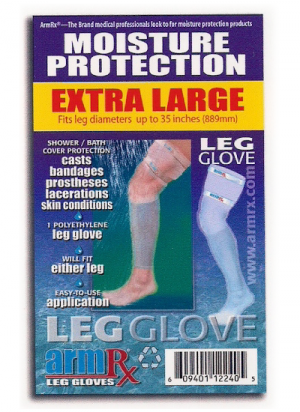 We sell protective gloves and leggings made in two versions - arm protectors and leg protectors. Each glove or legging is available in one universal size that is easily adjustable to the personal requirements of an individual user regardless of their height, body weight or respective lengths of their arms or legs. 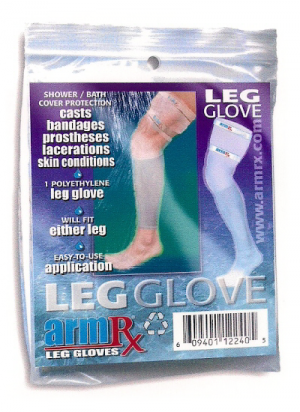 Each individual glove and legging can be fitted on to either the right or left relevant limb.